There are also damper pulleys, which absorb vibrations generated by the universal joint. The damper pulley acts as a “guide” pulley for accessory belts and as a reinforcement for auxiliary components such as a water pump, power steering pump, or compressor. 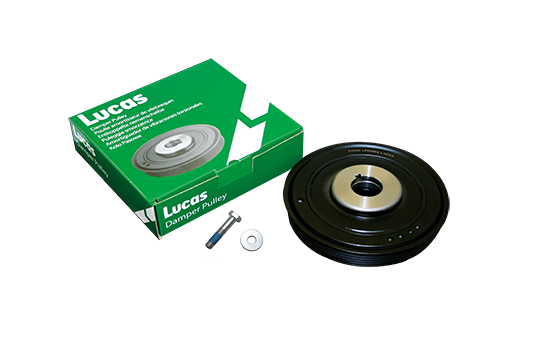 We recommend the replacement of the damper pulley when you fit a new timing kit and water pump (Super Kit).